Lindenhurst NY. Thursday, November 20, 2014, 6:30pm. 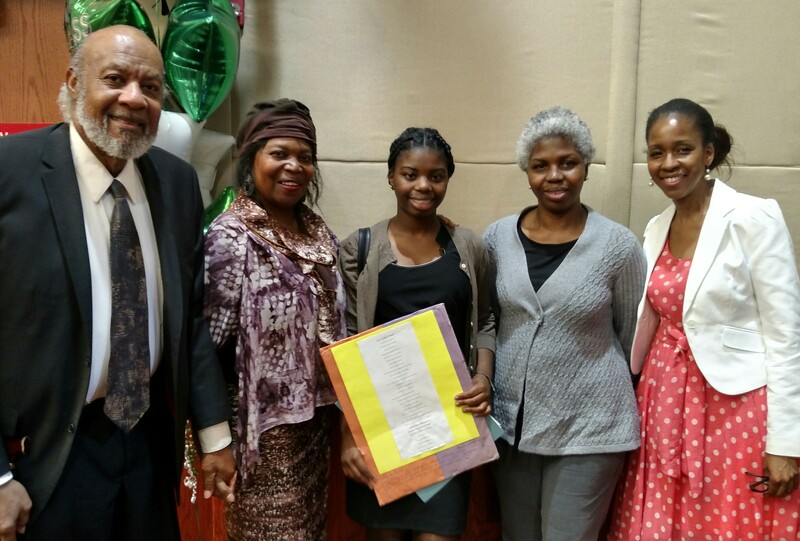 Your Time for Creative Empowerment, Inc. presented several scholarships and awards to the winners and participants in their Creative Empowerment Arts Contest at their Creatively Embracing 21st Century Youth Gala on Thursday, November 20, 2014. 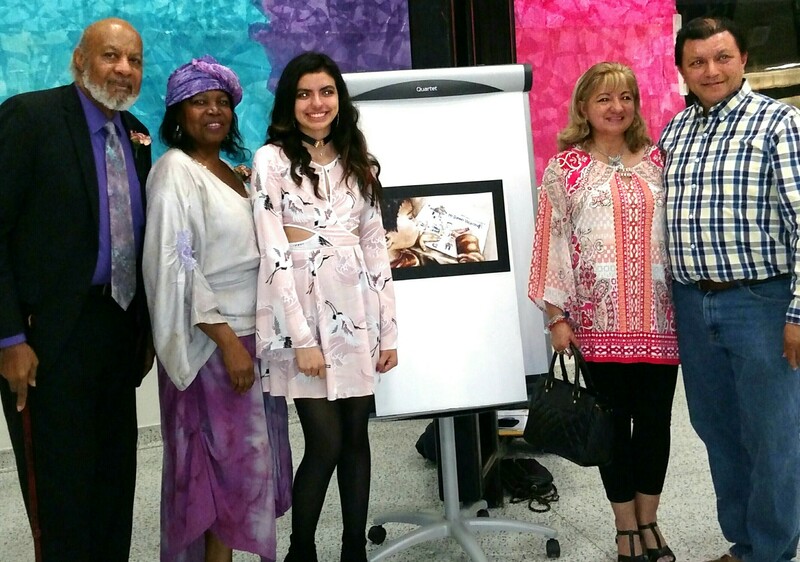 The youth-focused event was attended by community leaders from Nassau and Suffolk Counties, supportive family members, and friends of the Long Island high school contest participants in excess of 100 people. Grant awardees and scholarship winners were given an opportunity to share their thoughts on their own inspiration and creative process as the Creative Expressionists of the evening. “Wow, Thank you so much for the scholarship, I really do appreciate it. You did an amazing job putting the event together, it was an incredible evening. 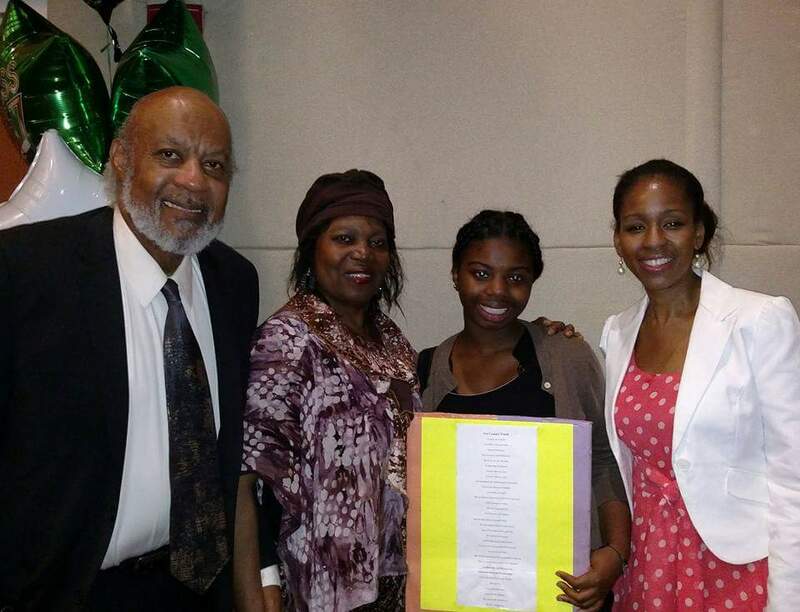 Samantha Uebel of Babylon High School talks about her winning poem. 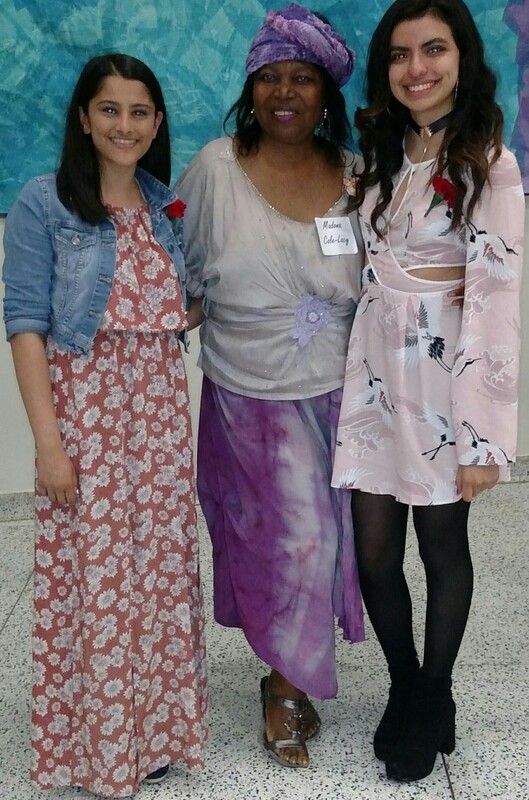 Samantha Uebel – A Poem “Girl Without A Voice” (9th Grade – North Babylon High School) $500.00 to set up and run a club/support/leadership group at school. Ben Rhee – A Poem “Just A Click Away” (10th Grade – Syosset High School) $500.00 to set up a club/ support/leadership group at school. 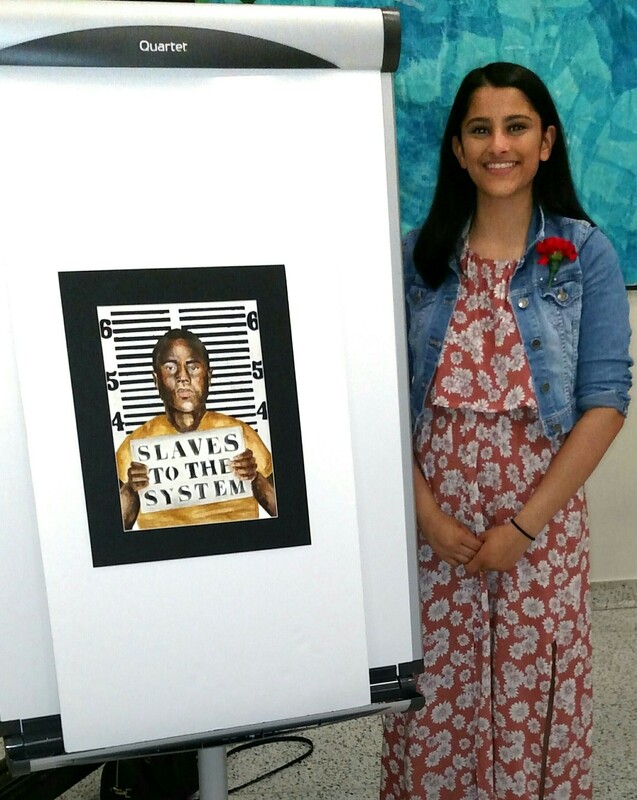 Nailah Garard – Portrait – “Trapped” (11th grade – Half Hollow Hills High School East) $1,000.00 College Scholarship. Aly Brier – Short Film – “A Helping Hand” (12th grade – The Wheatley School) $1,000.00 College Scholarship. Julia Maher – Portrait – “Paranoia”/ “Slipping Away From Sanity” (12th grade – Farmingdale High School) $1,000.00 College Scholarship. 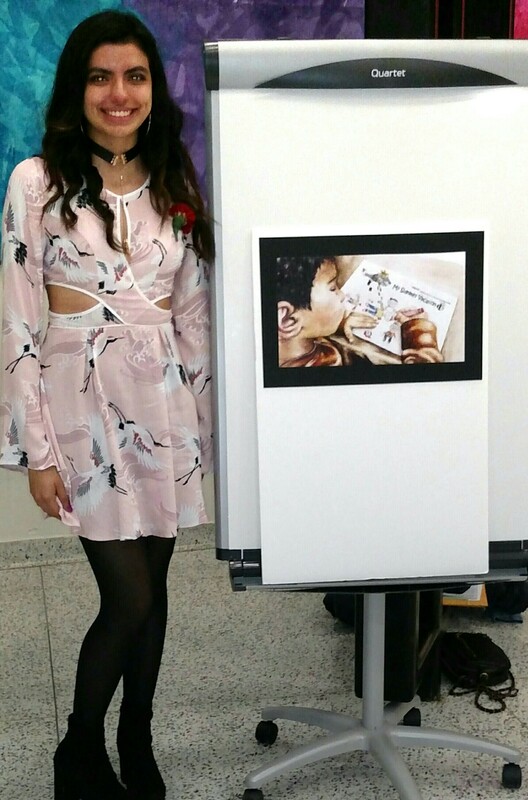 Gigi Larios -Mendez – Portrait- “Too Blind To See” (Roosevelt Senior High School Graduate/ SUNY Old Westbury Freshman) $1,000.00 College Scholarship. Other contestants with compelling creative expressions are: Tatiana Woellhof – Drawing -“You Are A Slave To Whatever Controls You” – (10th grade-Centereach High School) Kitty Zheng-Watercolor/black sharpie pen painting-“Growing New Layers”- (12th grade-Southold Jr/Sr High) Veronica Lane – Photography – “Portray Yourself Wisely” – (12th grade – St. John The Baptist DHS) Madison Migliaccio – Pen and Ink – “Hate Sold By The Bottle” – (12th grade – Farmingdale High School) Radiyyah Hussein – Oil Painting – “Freeing Peace” – (12th grade – Central Islip Senior High School) Emily Williams – Painting and Marker -“20 Flight Rock” – (12th grade – Seaford High)Marie Saint-Cyr – Collage – “A Helping Hand”-(F.I.T Freshman /Westbury High School Graduate) Plans are underway for a Community Creative Empowerment Arts Exhibition, which will open with a forum co-facilitated by the contestants. Devon Harris, Motivational Speaker, Author, Philanthropist, Founder of Keep On Pushing Foundation, original Jamaican Bobsled Team member. The Master of Ceremonies for the evening was award-winning Video Journalist and Executive Producer of Fios1/ My Long Island TV, Waldo Cabrera. Executive Producer, Bob Spiotto, handled the coordination of the event. 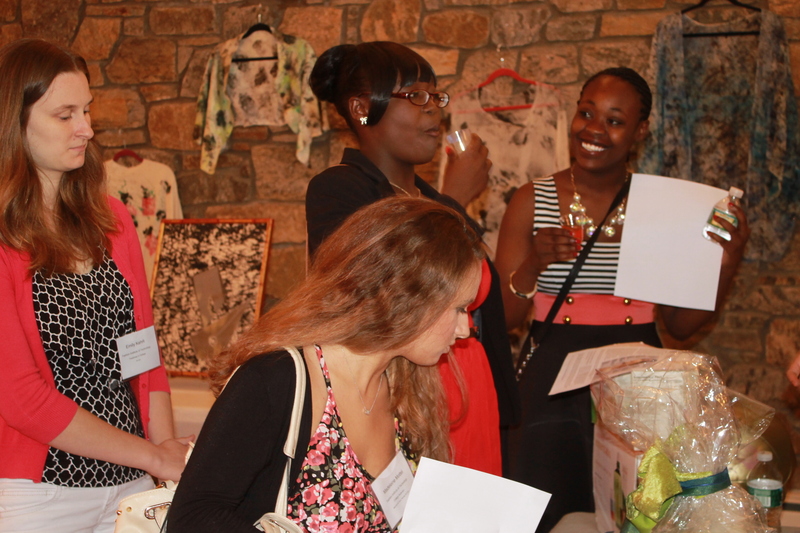 Proceeds support Your Time For Creative Empowerment’s FREE creative programs and services to Long Island’s youth and their families, and provides funds for its Creative Empowerment Awards and Scholarships. To learn more about Your Time For Creative Empowerment, visit the organization’s website: http://www.yourtime4liny.org or call (516) 965-3242. Your Time For Creative Empowerment, Inc. on Saturday, August 2, 2014, hosted a group of approximately 70 people comprised of college and high school students; community members from academia, the business and professional sector and; public officials, Suffolk County Legislator, DuWayne Gregory and Nassau County Legislator, Carrie Solages for a Community Networking Soiree. This event, which was held at the Town of Hempstead’s Merrick Golf Clubhouse at Merrick Road Park Golf Course, provided a rare opportunity for high school students to get a candid, insider look into the college, pre-college and professional experience. A broad range of topics from how many AP’s one should take, and how to pick a major, to what one does after college were presented and laid bare for the perusal and questioning of the youth that attended the event. 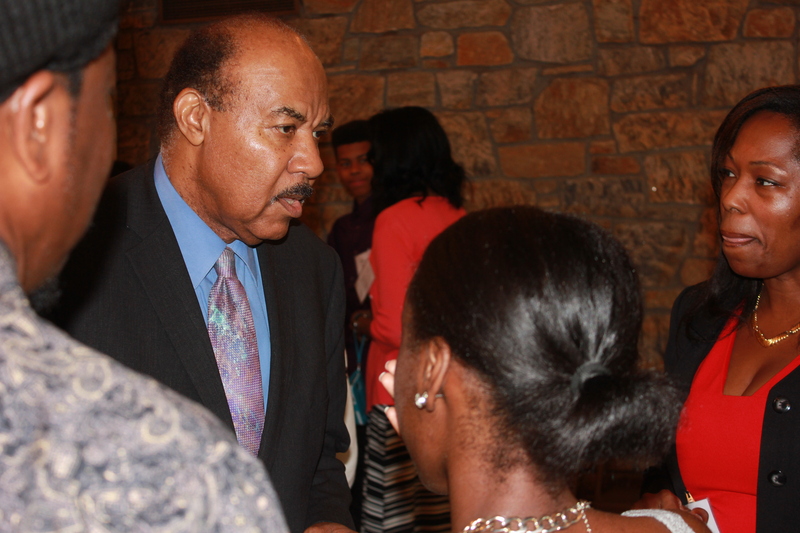 The casual conversation format of the Community Networking Soirée allowed both the attendees and Resource Persons to speak openly and honestly. Most importantly, it put the young people at ease to fully take advantage of the opportunity to converse and ask questions about topics that they were truly interested in learning about. As was mentioned throughout the event, this was their show. The adults and college students in attendance imparted some helpful and relevant tips on personal development to the students in attendance. Wise words regarding the company one keeps and the importance of hard work and time management were spoken and warmly received. Your Time For Creative Empowerment would like to thank everyone who made it a point to contribute to the success of our Community Networking Soirée. This event was a true demonstration of the lessons of life unleashed by community members for the benefit of Long Island’s future leaders. We could not have asked for a finer group of Resource Persons who ‘taught’ by example as they embraced our youth with such exuberance, and selflessly gave of themselves. Our college students were clearly empowered by a setting which lent itself to their taking on a leadership role too! A special “thank you” goes to our parents and significant adults in the lives of the youth present. 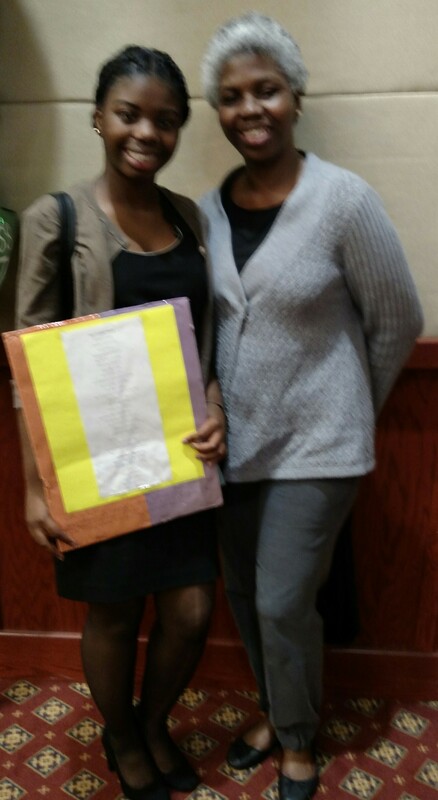 The quality of their participation and overall involvement spoke volumes about their parenting and leadership skills. Kind, loving and sensitive parents and adult role models without a doubt, raise kind loving and sensitive children society would one day be proud of! The willingness of the youth present, to work with us, both on and off site, at making this initiative a success, will always serve as an inspiration for us to do more. 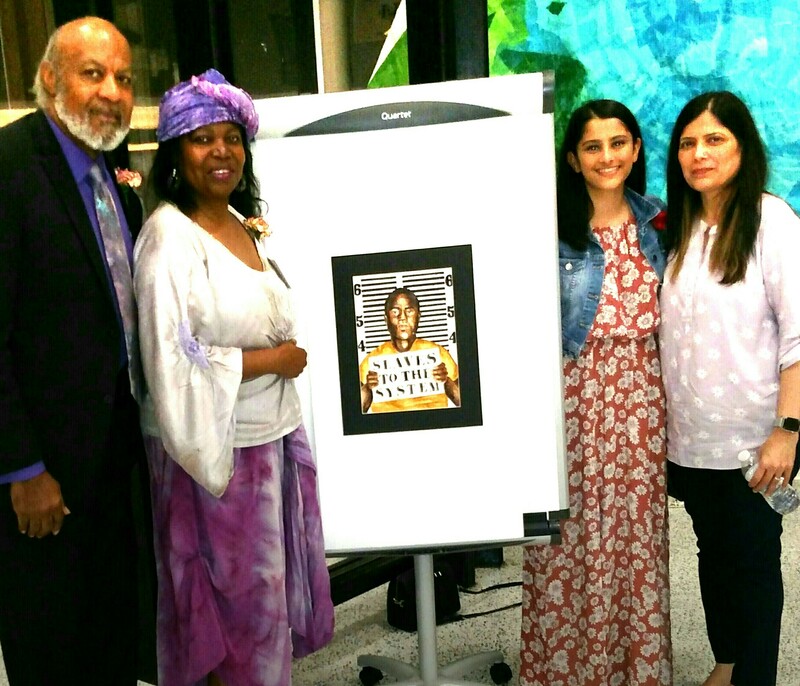 We owe a debt of gratitude to Suffolk County Presiding officer, Legislator, DuWayne Gregory, and Nassau County Legislator, Carrié Solages whom we know, had to tweak their busy schedules for that day to stop by and register their commitment to the success of 21st Century youth. We also acknowledge the participation of Jason Zove, candidate for New York State’s 8th Assembly District for the valuable interaction he had with both students and parents as part of this vital process that creates the opportunity for our children to share their concerns and ideas with caring representatives from the business and professional community who understand the importance of subscribing to their social, academic and professional well being. Our call for community involvement and support was also answered by Las Bahias Latin American Restaurant of North Bellmore, Spice Negril of Baldwin and Eye Supply of Wantagh. Please stop by and experience for yourself why we think these kind and caring local businesses are “all that and then some”. 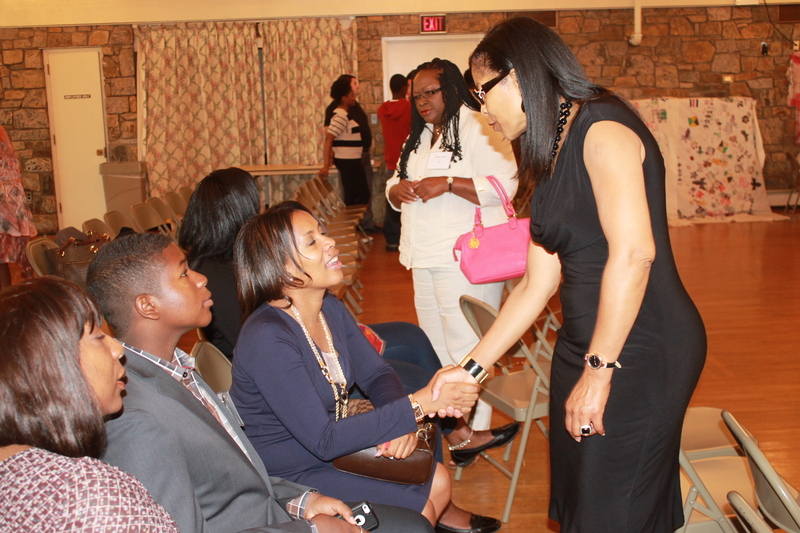 Board Member, Madeline Quintyne extended a warm welcome to Brendan Sperling while his mother and aunt look on. 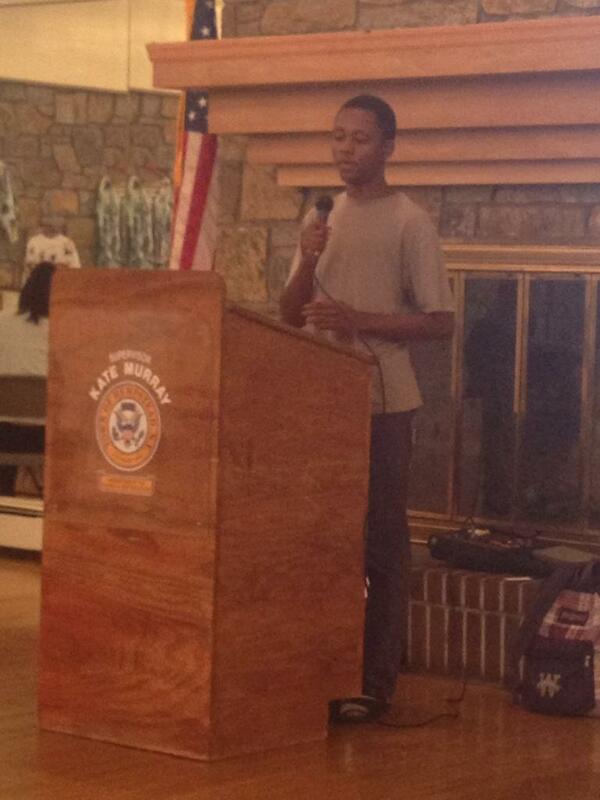 Caleb Garard, College Freshman bound for medical school, (August 2014) shared his academic experience and gave college survival tips. Fashion Institute of Technology-Bound Marie Saint-Cyr, her sister Pierrelande, and friends Emily Kehrli and Madeleine Mattel (also F.I.T-bound) at the Argonne health and wellness table. To volunteer and learn more about how you can contribute to the growth of the not- for-profit organization, Your Time For Creative Empowerment, visit www.yourtime4liny or call (516) 965-3242.